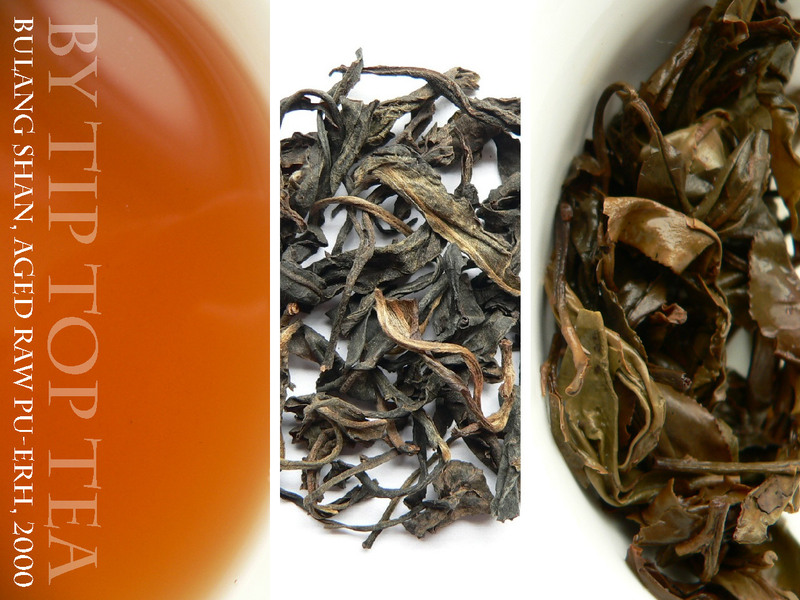 Flavour profile: Aged sheng (raw) flavour with a smooth round hit, developing complexity and a nice thick mouthfeel after naturally aging since 1999. A hint of tannic bite and warm sweetness with notes of leather, wood, herbs and grass. 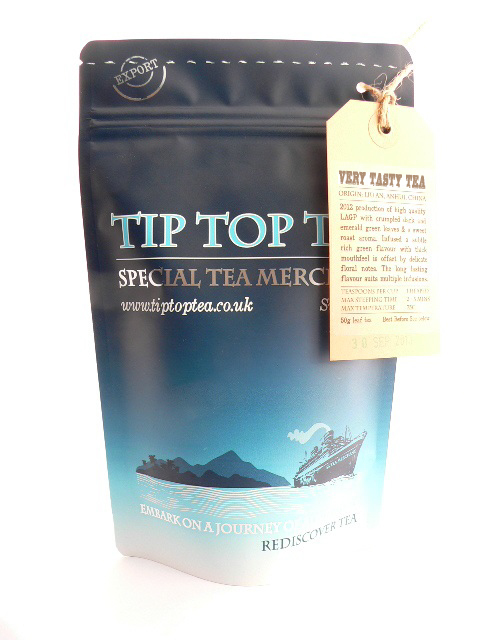 Later infusions have a deeper dark stonefruit flavour with hints of stewed herb. Leaf: Medium-large leaf which has darkened with age from green when young to dusky brown and black with the odd silvery budset. Good dry storage has resulted in a musky fruit and herbaceous aroma (and no bad smells). Origin: Bulang Shan, Xishuangbanna, Yunnan, China nr Myanmar borders. Background: Isolated in deepest south-west China, The Bulang shan area borders Myanmar and is named after the local Bulang ethnic group, said to be the first people to cultivate tea trees in Xishuangbanna over 1000 years ago. Bulang Shan is the name of both a town and mountain (Shan means mountain) but when talking tea, it refers to a wider area in this region, including many villages reknown in pu-erh circles such as Hekai, Lao Banzhang, Lao Man E and Lao Ban Pen amongst others. Much of the landscape in this border region is dominated by tea cultivation although as it is remote there is still tropical rainforest in the mountains. It is not uncommon to come across old arbor tea trees that are 500-800 years old in this area; older trees are much prized for making tea with more complex flavours, a deeper after taste and longer finish. This tea: Our Bulang tea comes from old arbor trees over 200 years old. Despite variation within this area Sheng (raw) Bulang tea is typically popular for a bitter and pungent flavour when young. This makes it an interesting candidate for long term storage, slowly transforming the bitterness as the tea post-ferments into a sweeter, rounder and more quaffable taste profile over time. Our Bulang tea is a great example of this. Brewing guide: As this tea is old we should rinse the leaves first to remove dust and impurities that naturally accrue over time. To do this steep the leaves in boiling water for 5 seconds, give them a swirl and discard the water. Repeat for a further 10 seconds and discard. This also serves to wake up these old leaves and warm the pot for use. This tea is also very suited to Gong-fu steeping, use 6-7 grams (4 teaspoons) per 100ml, repeatedly steeped for short periods, eg. 25secs for a first steep (after rinsing as above), then increasing by 10-20secs repeatedly until it tastes washed out. Adjust for personal preference, shorter if too strong, longer if too weak. This is best done in a small brewing vessel, eg. a teapot under 200ml.